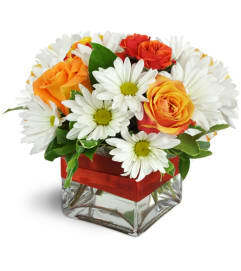 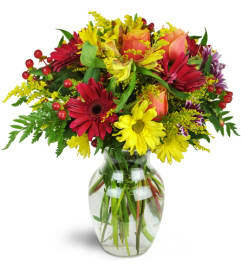 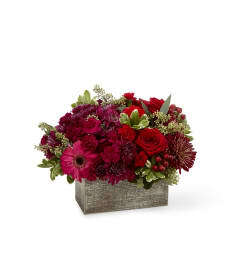 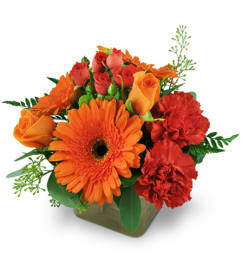 The Autumn Harvest Bouquet is both simple and simply unforgettable. This collection of flowers takes all the vibrant colors fall and brings them together in a unique way in a muted green ceramic vase with a gold metallic finish. 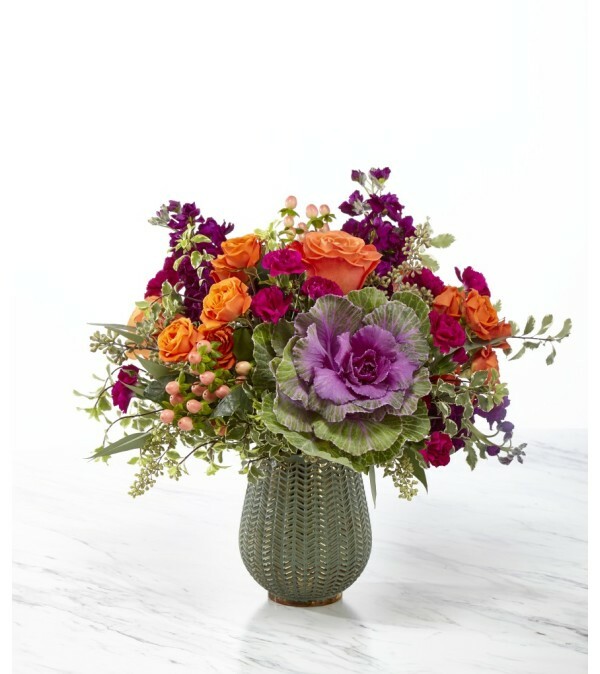 Ornamental kale is surrounded by orange roses, spray roses and purple stock making the perfect gift for you or your loved ones.- Due to seasonal flowers, this arrangement is not always available for same day delivery.